I am a huge fan of the Christmas themed bedding that Pottery Barn Kids carries each year, especially the Grinch bedding. If you are interested, you better go get it because they are selling out fast! 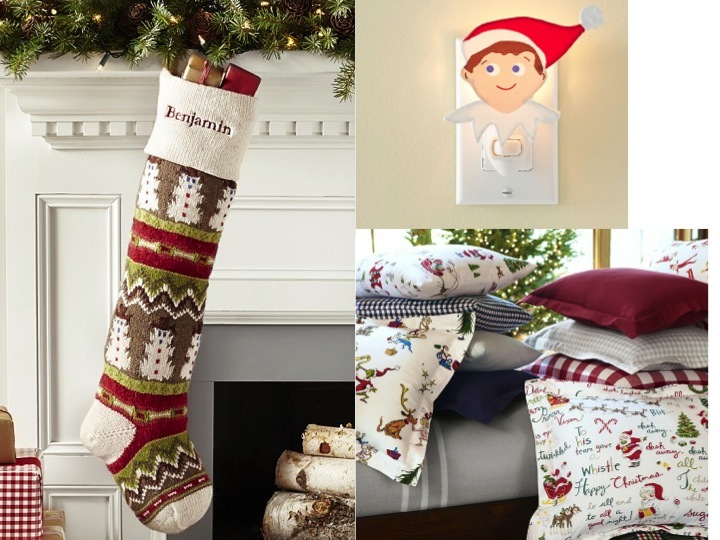 I also think the Elf on the Shelf nightlight from Pottery Barn Kids was very cute! 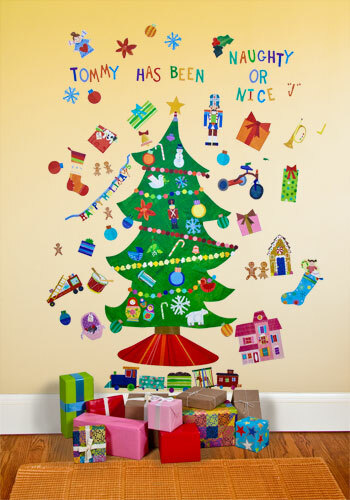 I thought this was a very clever idea; a decal Christmas tree. 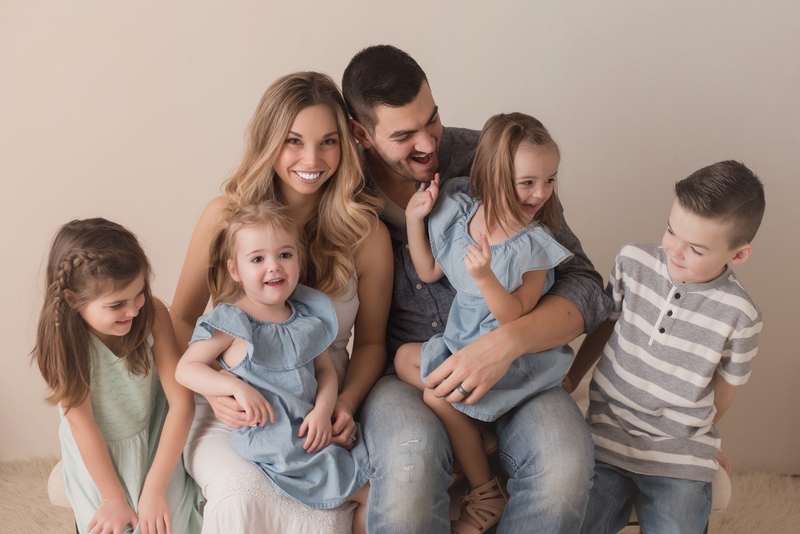 What a great activity to do with your kiddies from Rosenberry Rooms. This one is my absolute favourite! 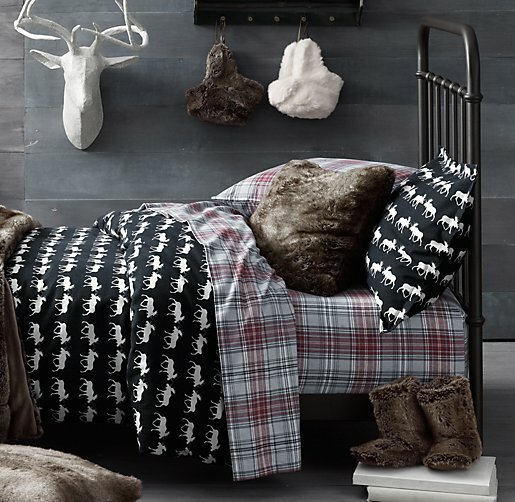 This cabin and moose themed room is from… you guessed it, Restoration Hardware Baby and Child. This fella is from Posh Tots. 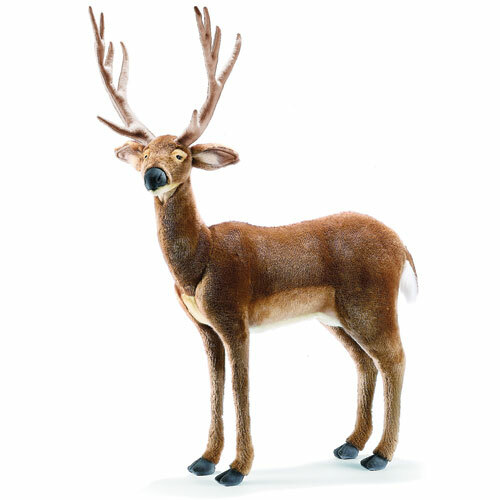 Yup, it’s a ride on deer. It has a lightweight, yet sturdy frame which can support children and adults up to 250 lbs. Next Next post: A Kid’s Custom Bunk Bed Design That I LOVE!